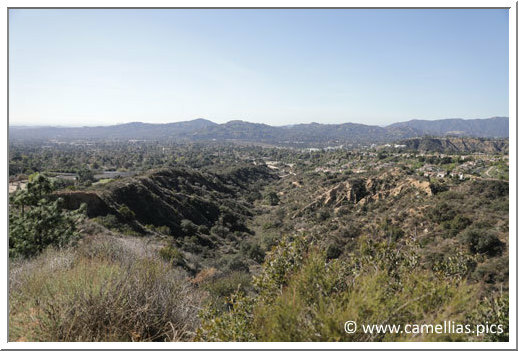 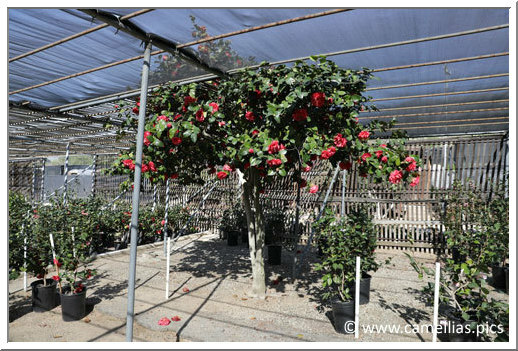 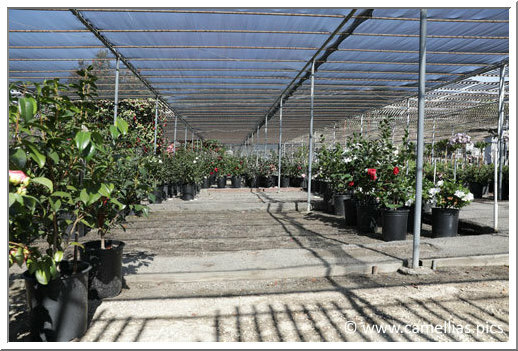 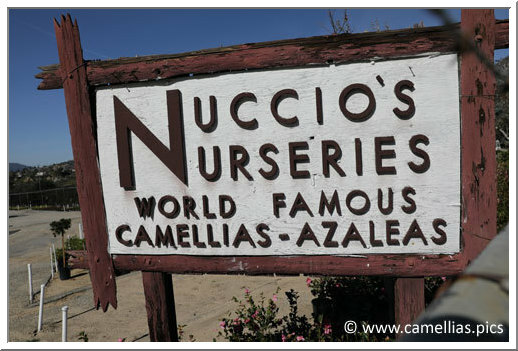 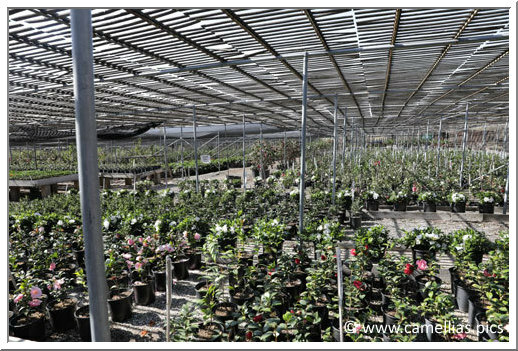 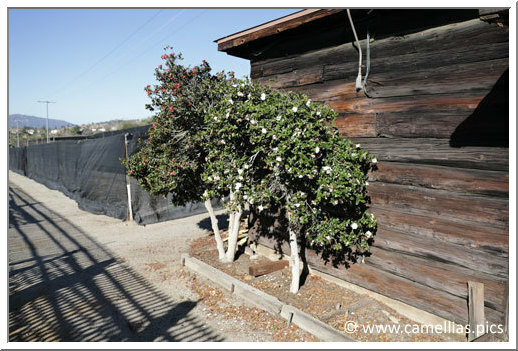 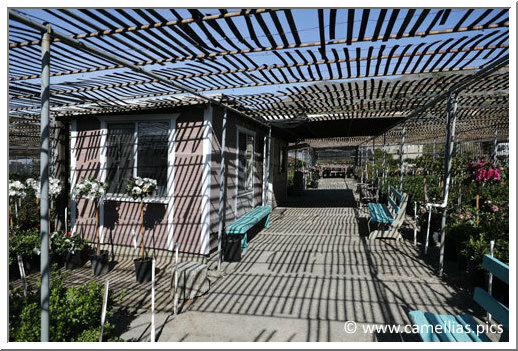 Welcome to the Nuccio's Nurseries, the famous nursery located in Altadena, near Los Angeles. 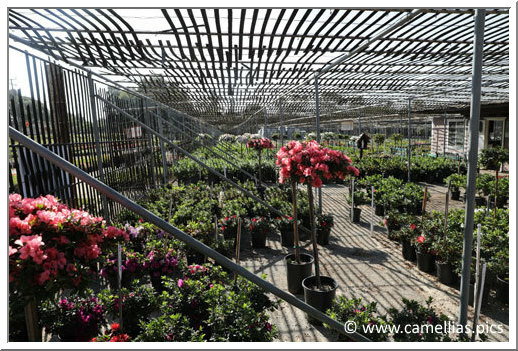 This is the first time we have dedicated a page to a nursery. 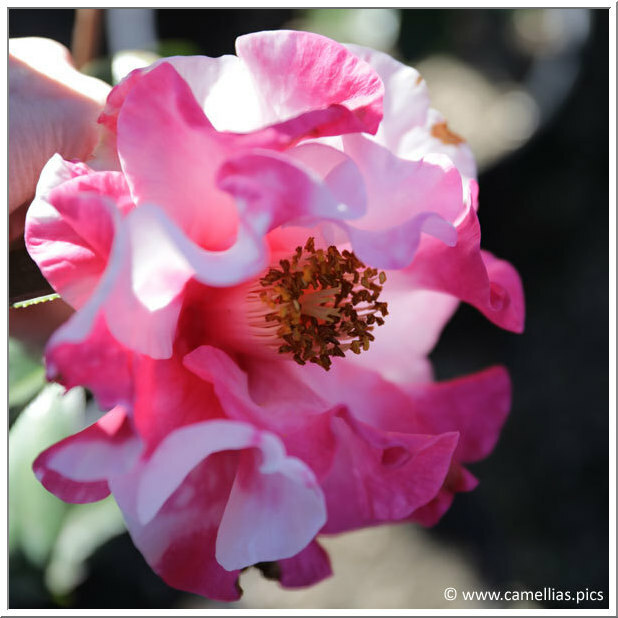 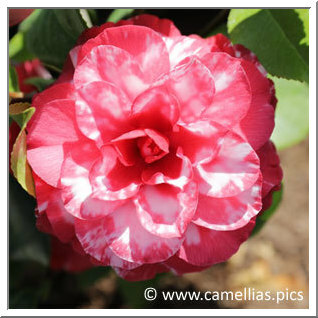 It must be said that this one is mythical for camellias lovers. 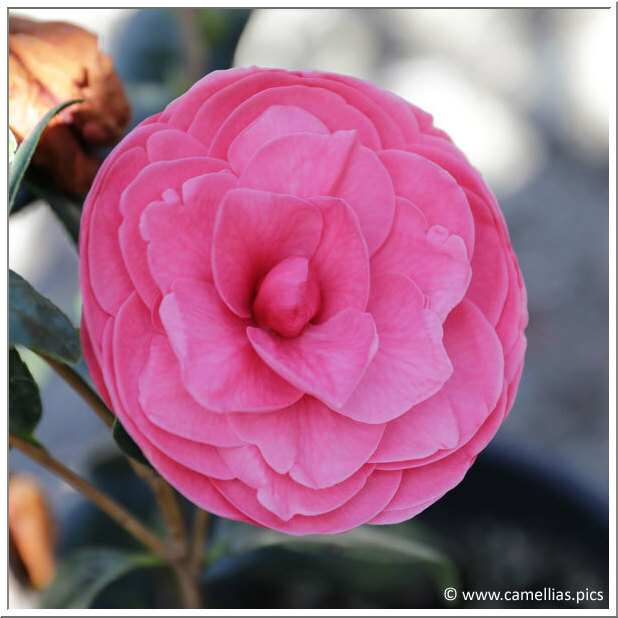 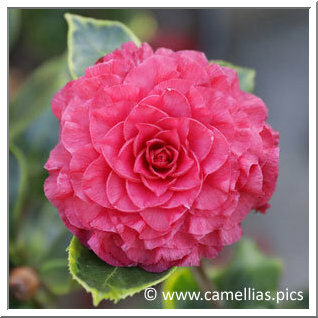 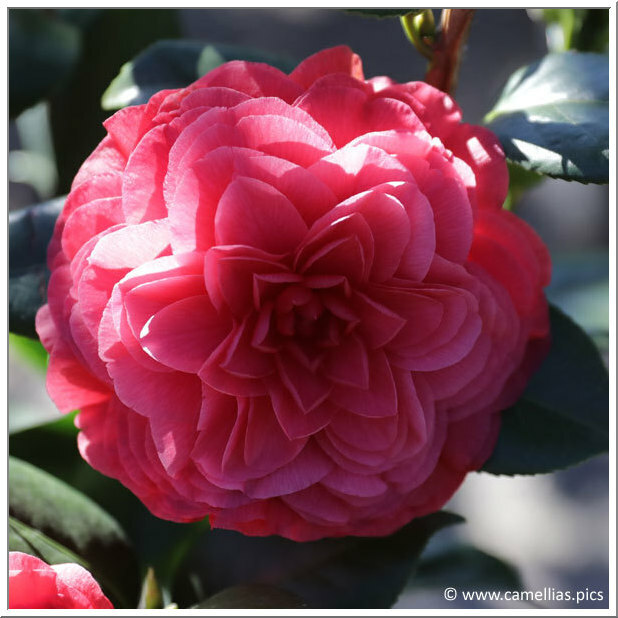 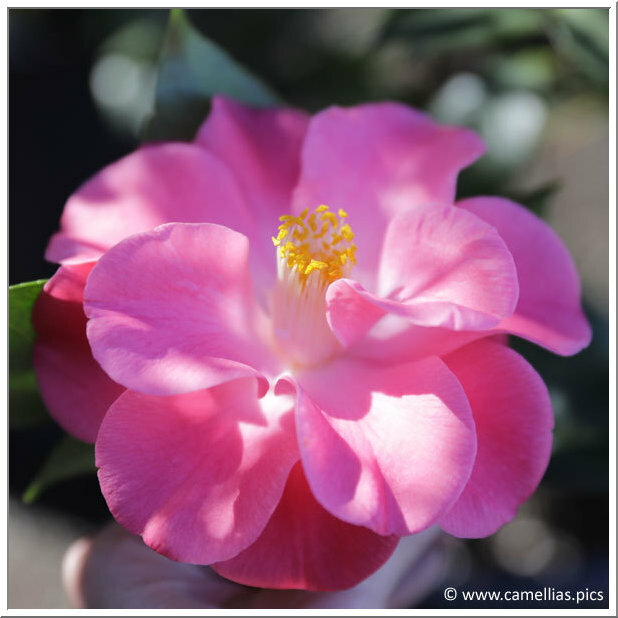 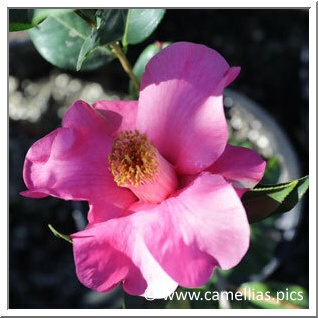 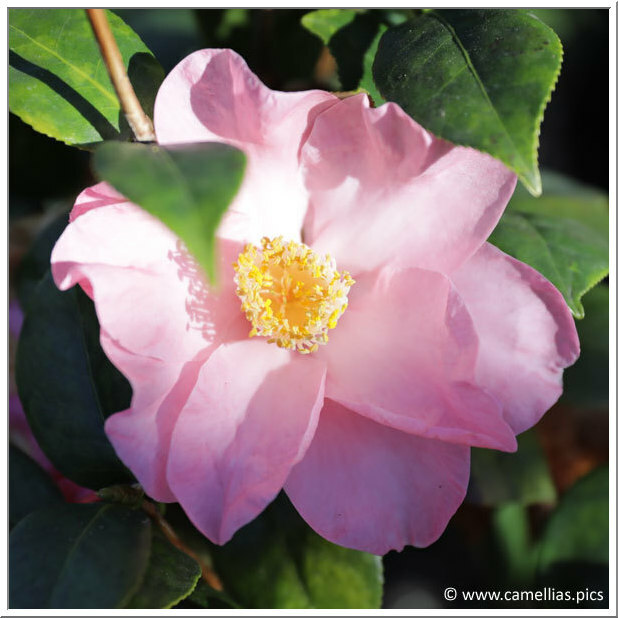 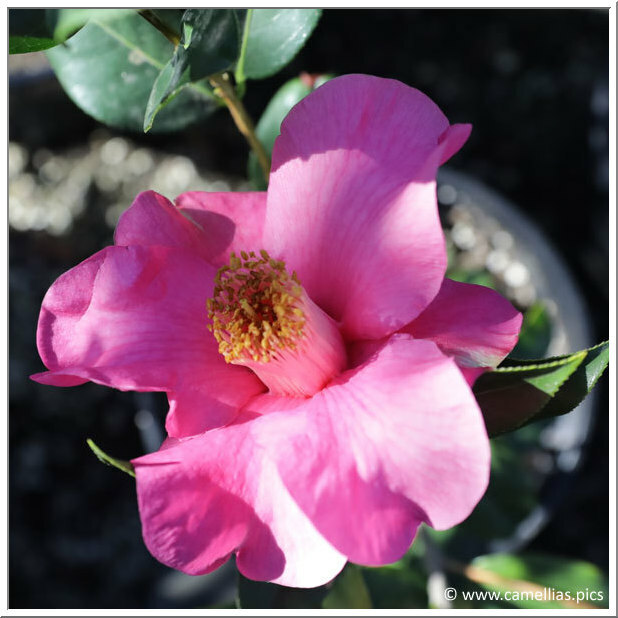 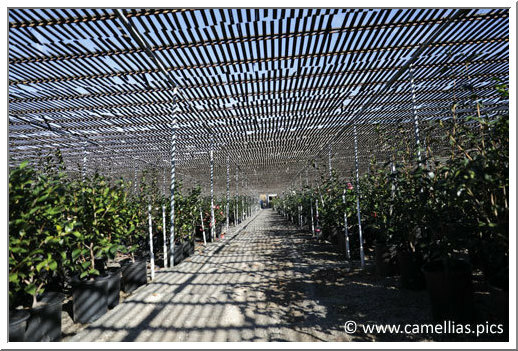 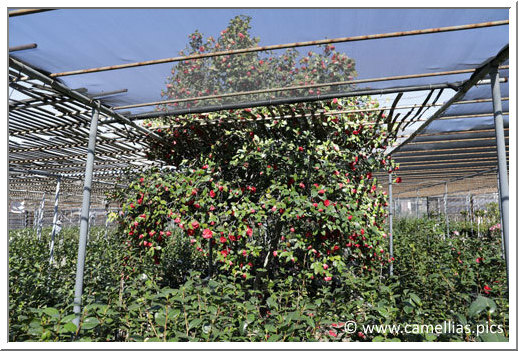 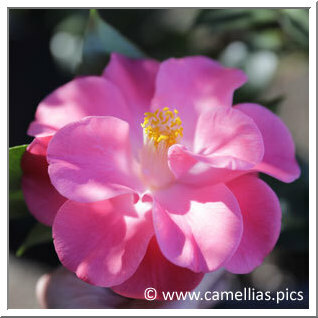 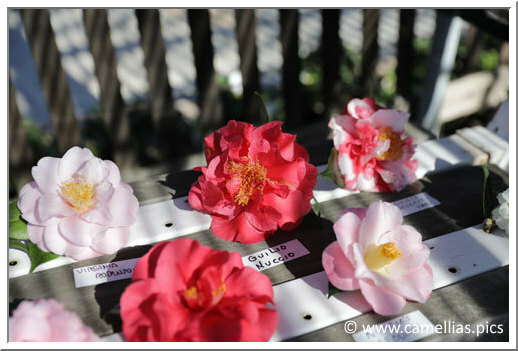 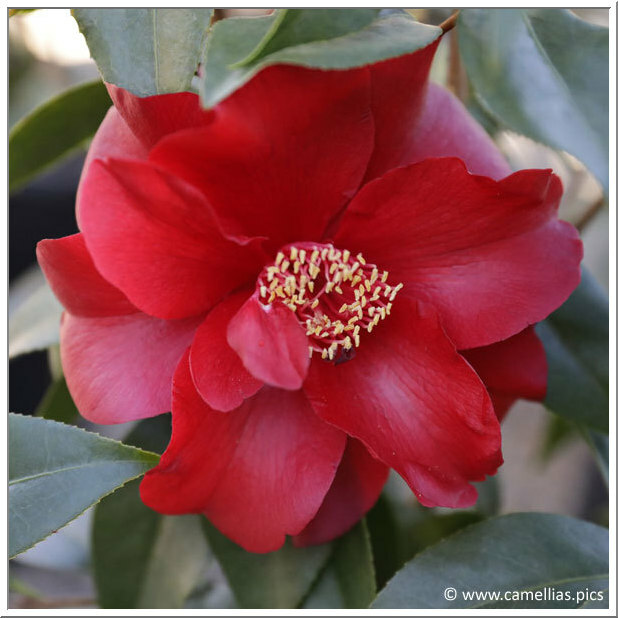 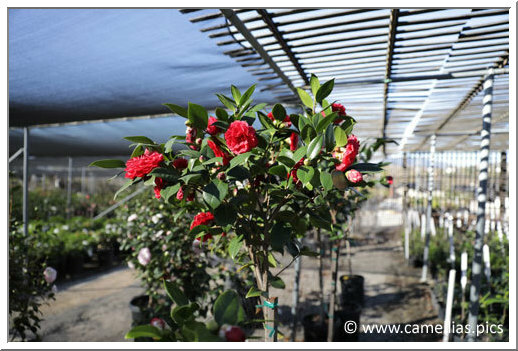 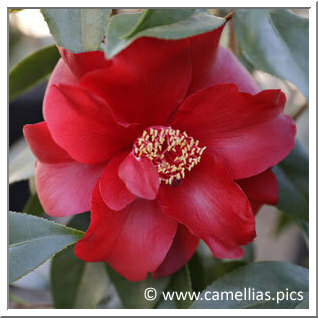 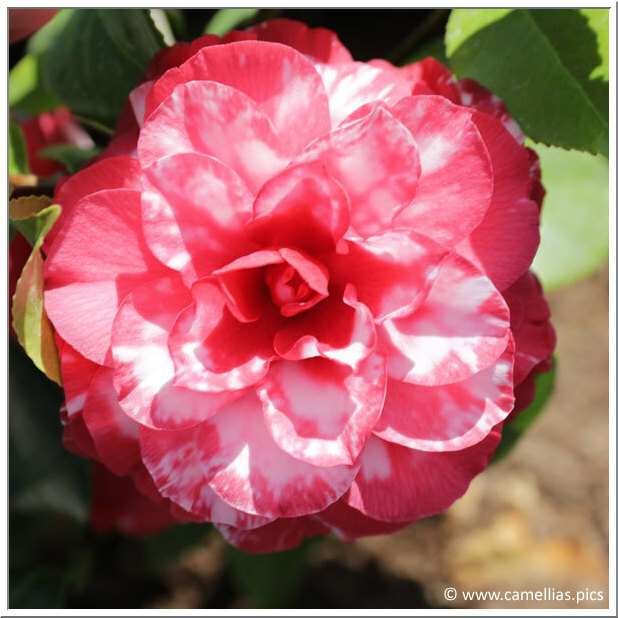 You will see camellias that are grown in the gardens all over the world. 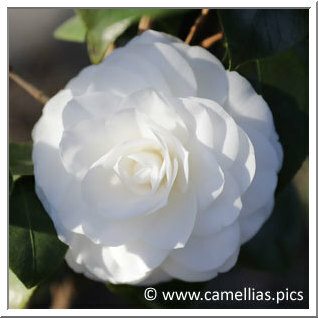 The list of their obtentions is impressive and the camellias are beautiful. 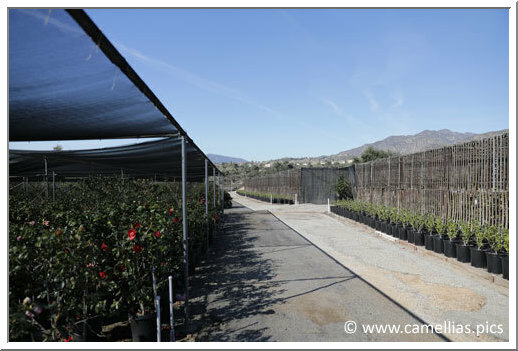 Thanks to Tom and Jim Nuccio for their welcome and for letting us discover this fabulous place. The optimum period to visit is the second half of January. 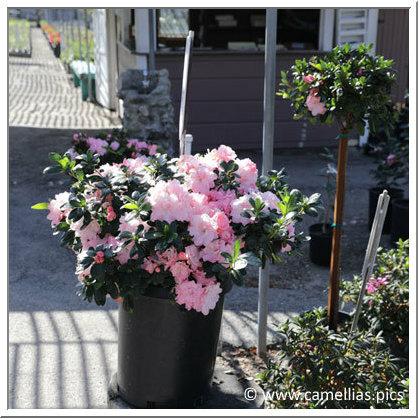 For Azaleas, early February, but not later to enjoy the last camellias. 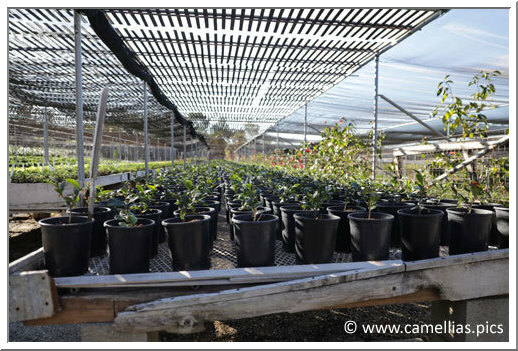 The nursery is a family business. 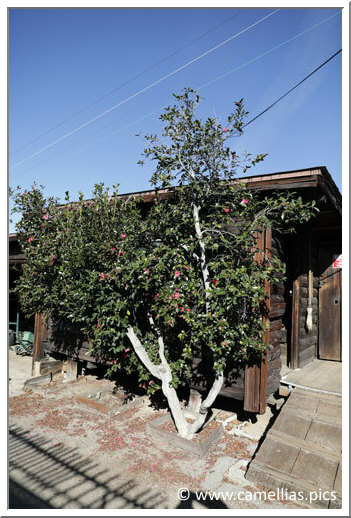 They still work in a traditional way. 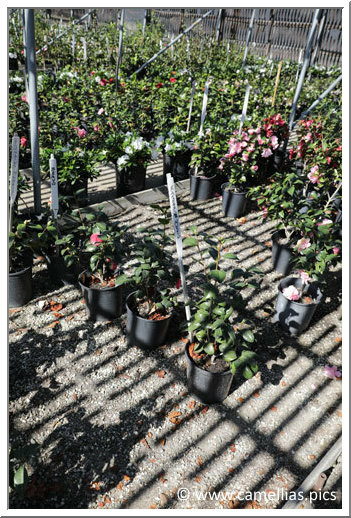 The collection is very rich. 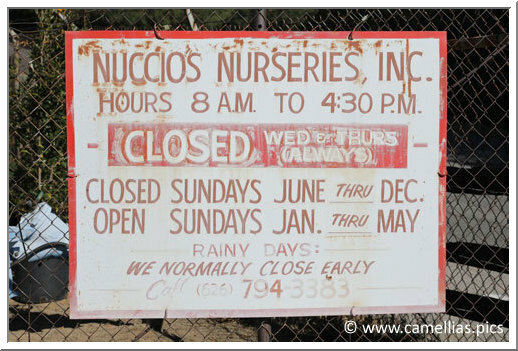 We will only present in this page Nuccio's obtentions. 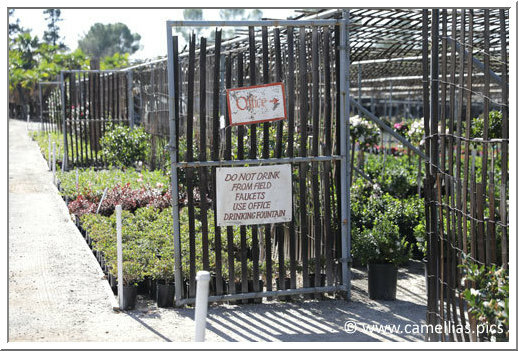 We have updated the photos of the Nomenclature for all Nuccio's obtentions that we photographed during our visits. 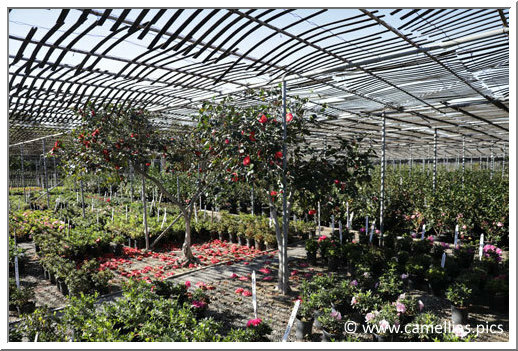 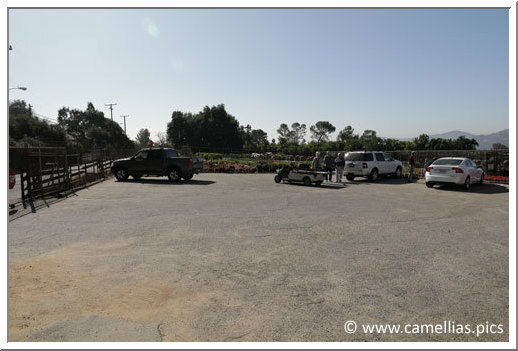 It is specified in the comment if the photos were taken at the Nursery. Below, C. sinenis, the tea. 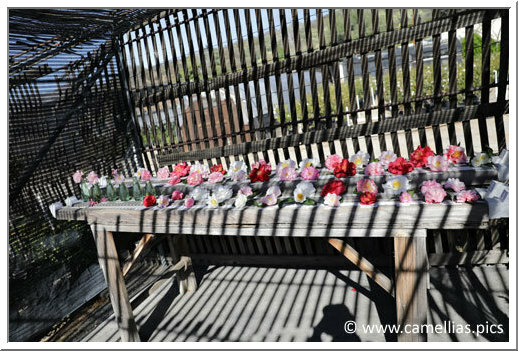 Fresh flowers are presented to the visitors to help them in their choice. 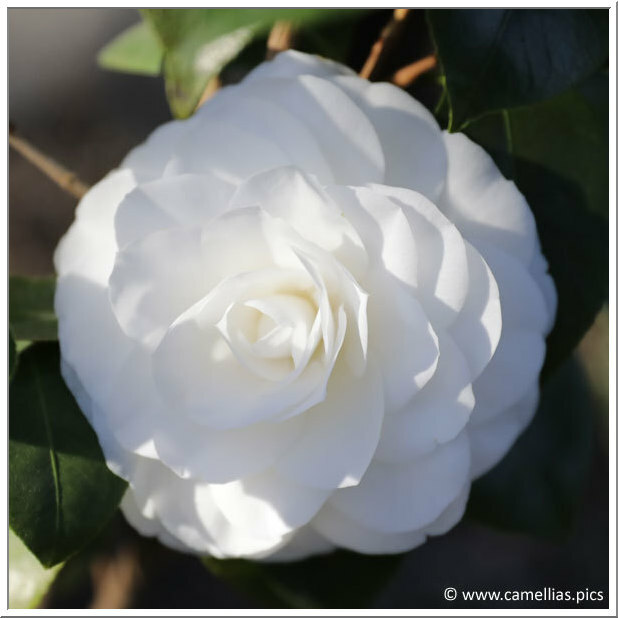 'Katherine Nuccio', the first Nuccio's obtention. 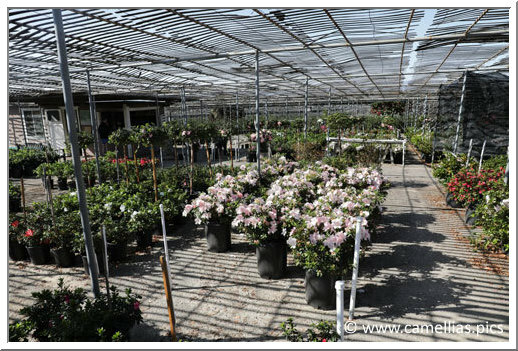 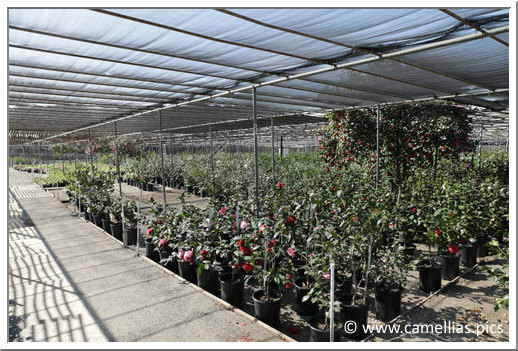 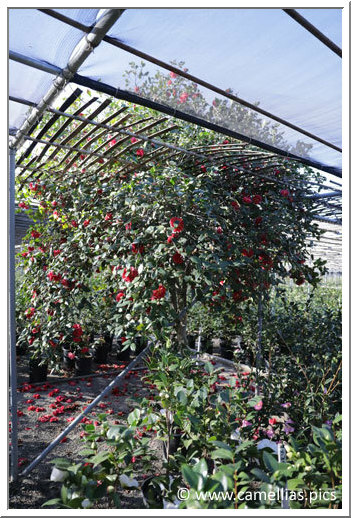 Nuccio Nurseries are also famous for their Azalea collection. 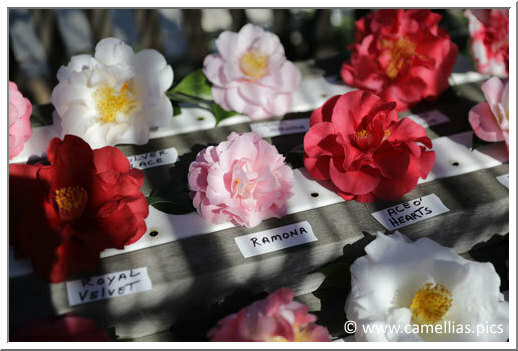 They were blooming during our second visit, early February. 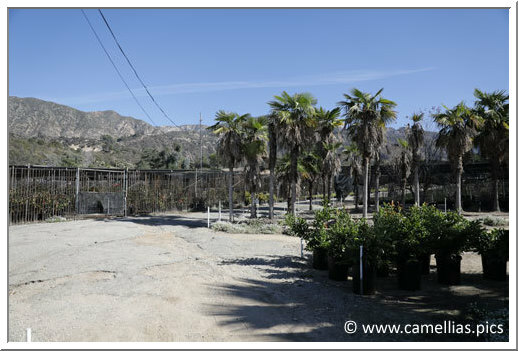 Leaving the nursery, the view from the hills.